Giraffes are not among the most dangerous of wild animals. However, like any wild creatures, they can be unpredictable and should be approached with caution. Their sheer size makes them a potential danger if they become uneasy. 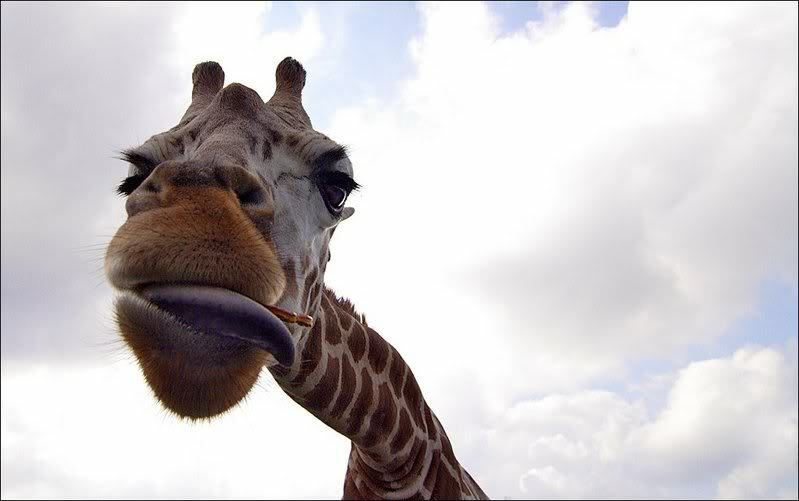 And since giraffes are known to be easily startled, it is important not to provoke them. If a giraffe feels that it is under threat, it may decide that it needs to defend itself. It can do this either with its legs or by pushing with its neck. The animal’s high viewpoint means that they are generally able to see humans approaching from some distance away, though in less open terrain they can still be surprised. As is the case with most wild animals, when around giraffes it is best to be as calm and quiet as possible. Sudden movements, running, or crouching on the ground may make a giraffe fear that you are about to try to attack it. Even though they are herbivores, these animals are very strong and are capable of inflicting a lot of damage with their powerful hooves. A bite from a giraffe can be dangerous, especially if it becomes infected, but reports of bites are rare. Giraffes have good color vision and may be upset by bright, clashing hues, so try to keep to quieter, neutral shades. You should only approach a giraffe if you are given the go-ahead by a trainer or an expert in giraffe behavior. If you do so, do not try to rush closer, but approach cautiously. Ideally, once you have come relatively close, you should stand your ground and give the giraffe the opportunity to come to you. If you wish to take photographs, make sure that your flash is disabled, as a sudden camera flash can startle a giraffe into sudden violence. Do not touch the animal unless you are given explicit permission to do so. If it is allowed, slowly reach out your hand to allow the animal to see it before trying to touch it.